This durable oversized watch is ready to withstand the roughest environments. 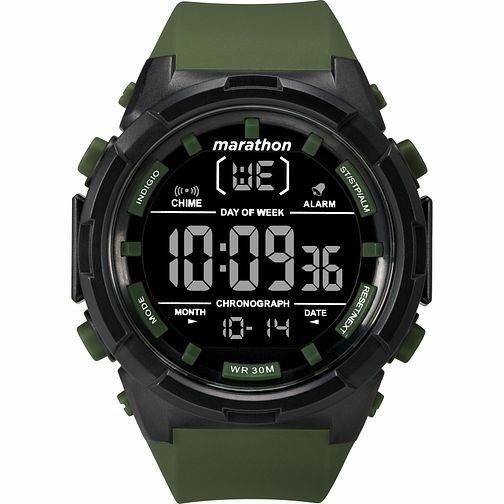 The 50mm matte black case houses a digital dial module with chronograph, day and date displays, Indiglo® light-up, and customizable alarm function. Finished with an olive green resin strap, ideal practicality for the man always on the go.